Looking for pain relief? 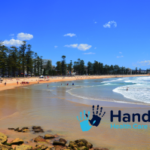 Hands On Health Care Clinic has been servicing the Back Pain needs of the Northern Beaches for the last ten years. The team of Chiropractic and Remedial Massage Therapists specialise in using evidence-based care to assess and diagnose your condition. Adapting treatments to suit your individual needs. We specialise in long consultations, making sure we treat the muscles, fascia, soft tissue as well as the nerves and spine. We are commited to giving you the highest level of care. We continue to study and improve our knowledge so you can be assured of the quality of our care. If you have any questions please call our friendly staff on 9949 3017 and find out how we can help you today. Located in Balgowlah near the corner of Condamine St and Sydney Rd. We service Fairlight, Manly, Seaforth, Manly Vale, Brookvale, Freshwater, Harbord and the rest of the Northern Beaches Area. 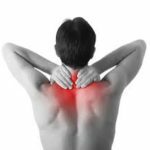 We specialise in treating Back Pain, Neck Pain, Nerve Pain, Swollen Joints, Arthritis, Headaches, Muscular Strains & Sprains, Sports Injuries, Postural Conditions, Bursitis and much more. Some of our techniques we use to fix your aches and pains include Massage, Dry Needling, Stretches, Joint Mobilisations, Joint Adjustments, Trigger Point Therapy, Heat, Ice and Rehab Exercises.